Italy…. 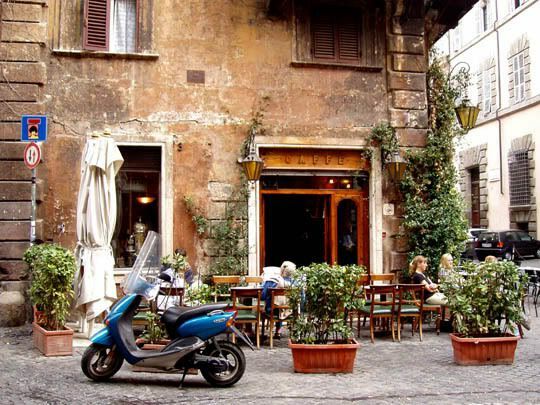 Do you need reasons to travel to Italy? Just the name conjures up so many ideas, emotions and stokes the fire of our wanderlust. When I think of reasons to travel to Italy I see myself sitting outside a small café on a cobbled street, sipping my espresso as I watch the impeccably well dressed Italians parade by. I’d likely be daydreaming about buying a little olive farm and selling my wares at the local markets. The possibilities are endless when it comes to ways to while away the days in Italy. Whilst golf isn’t the first thing that most people think of when they think of reasons to travel to Italy, that doesn’t mean that there isn’t a plethora of fabulous golf courses there. Italy just has so many other strings to her bow; history, art, culture, fashion, cuisine, architecture. With Roman ruins, renaissance art and apéritifs around every corner, it’s an easy country to fill your time. If, however you love golf, it would be remiss to travel to Italy and not incorporate at least a couple of rounds during your trip. Villa d’Este is Italy’s number one golf club. It has hosted more Italian Open’s than any other club and has had royalty from across Europe and Britain playing down her fairways. Golf Club Milano is one of the country’s most prestigious clubs, and has one of the most luxurious clubhouse in Europe. The course was designed and later expanded inside the majestic Monza Park which is 685 acres of forests filled with around 100,000 trees. GardaGolf Country Club, spread out over 110 hectares, is considered one of the best golf courses built over the last decades. It showcases an extraordinarily beautiful panorama filled with cypresses, olive trees and centuries-old oaks. The Arzaga Golf Club, set against the breathtaking backdrop of the towering Alps has fairways that run through hills and valleys. The enormous bunkers however ensure you keep your mind on the game. Le Robinie is the one and only golf course in Italy designed by Jack Nicklaus. Established in 1992, the course is challenging but not punishing, and can be enjoyed by golfers of all levels. 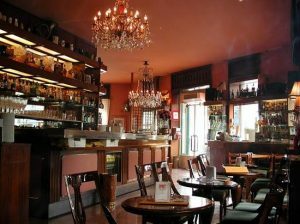 Bar Basso, managed by the Stocchetto family since 1967, is a must for an evening aperitif. Make sure you order the Negroni Sbagliato. The bar is housed in two 19th Century rooms, that still hold their original 1960s decor. Old men, playing cards, mix with young fashionistas, whilst designers and artists rub shoulders. The UNESCO world heritage site Chiesa Santa Maria delle Grazie, is home to Leonardo da Vinci’s The Last Supper. If you have never seen the fresco in person, you can’t leave Milan without a look. Painted between 1495–1498, it exemplifies Milanese Renaissance splendour. 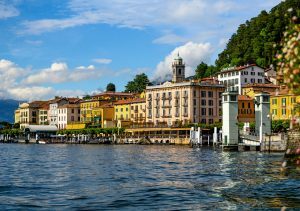 Jutting out into Lake Como is the town of Bellagio, located on the finger of land that splits the lake in two, and creates its famous “Y” shape. Walking along its waterfront marina, with your big sunglasses you are sure to be mistaken for Sophia Loren. Isola Comacina is the only island on Lake Como. The island has a long and colourful history for such a small place, including being completely burnt to the ground in 1169. Now it is home to Locanda dell’Isola Comacina, a curious restaurant that is said to be cursed, but don’t let that put you off. The food and the views are out of this world. Surrounded by mountains, Lake Garda is Italy’s largest lake. 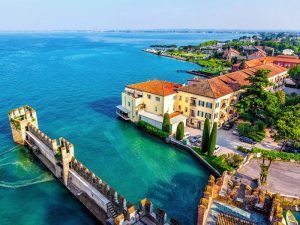 The picturesque little town of Sirmione sits at the end of a long peninsula reaching out into the lake from its southern shore. The entrance to the town is across a moat on a drawbridge, where you enter into the forecourt of a picture perfect castle. The Romans came to Lake Garda to bathe in the sulphur springs, which are now the basis of the luxury spas. Many people living in the nearby cities regularly spend time in the various spas that are scattered around the lake. Terme di Sirmoine has over 700 square metres of thermal pools rich in mineral salts and micronutrients at a constant temperature of between 34 and 36 degrees Celsius. Italy’s Mediterranean climate makes it a year-round destination with activities for every season. Generally, the summers are hot and dry, and the winters are cold and damp. The best months to visit Italy are April to June and September to October when the weather is comfortably warm. 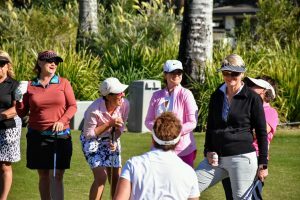 If you are looking for reasons to travel to Italy, want to make new friends, play golf and enjoy some of Italy’s la dolce vita, join us on our 2019 guided ladies golf holiday. Travel inspiration delivered straight to your inbox? Sign up for our newsletter!